When a spray on glass cleaner just won't cut it! McKee's 37 20/20 Cockpit Glass Cleaner is a non-abrasive polish for interior windows that removes smoker's film, vinyl and plastic fogging (generally on newer cars), and virtually anything else that conventional glass cleaner will not remove. Engineered to provide a deeper clean than a standard glass cleaner, McKee's 27 20/20 Cockpit Glass Cleaner works on a microscopic level to gently remove contaminants that cloud your glass. While having clear and gloss paint LOOKS the best, having crystal clear glass may be the most important. Grimy, dirty windows hinder your visibility and can cause serious accidents for both yourself and others driving around you. That's why having a top-notch glass cleaning routine is crucial and including McKee's 37 20/20 Cockpit Glass Cleaner in that routine keeps you even safer. Apply a a quarter-sized amount of cleaner directly onto a microfiber or terry cloth applicator pad. Rub in a circular motion until a haze develops. 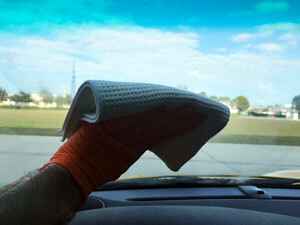 Wait one minute before removing McKee's 37 20/20 Cockpit Glass Cleaner from the surface with a clean and soft microfiber towel. McKee's 37 20/20 Cockpit Glass Cleaner, while gentle and non-abrasive, effectively removes many of the most common forms of glass contaminants. Outgassing of your vinyl and plastic surfaces is a common occurrence in a newer vehicle and it leaves behind trace pollutants that can cloud your glass surface. Cigarette smoke leaves behind an oily film that standard glass cleaners simply cannot remove. 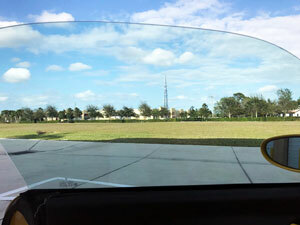 McKee's 37 20/20 Cockpit Glass Cleaner is an exception and will make quick work of removing the above contaminants. For those times that you find yourself scrubbing on the interior side of your glass trying to remove greasy fingerprints, dog slobber, and any other stuck-on contaminant, McKee's 37 20/20 Cockpit Glass Cleaner is the answer! It will gently polish those spots away for an all-over, crystal-clear glass surface. Shake well before use. Do not use McKee's 37 20/20 Cockpit Glass Cleaner on tinted windows. Before application, protect surrounding materials from accidental spills. Do not apply to a hot surface. Working in a small area (approximately 12 x 12 inches), apply a quarter-sized amount of cleaner directly onto a microfiber or terry cloth applicator pad. Rub in a circular motion until a haze develops. Very disappointed to receive this and upon reading the directions see it is not to be used on tinted glass. Does not mention this is the page description. What good is it then? Can't tell you how many times I've washed the inside only to drive into the sun and find out its not clean. Finally something that works. Got this product- and upon reading the bottle, found it is not compatible with tinted windows. I got it mainly for windshield, but I have UV protective film on the windshield and tint everywhere else inside. So I guess this product is not suitable for my vehicles.